Sky-clear, visibility 20 miles+, Temperature 66 degrees, Wind Speed 5 knots at 290 degrees. Moon – phase 7.4% rising at 0236. 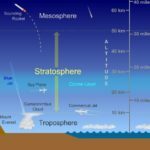 Single bright star in portion of sky – Capella – below horizon, rising at 0106. SETTING: The witnesses live in a mobile home located outside the city limits of Columbia. The home is located at the end of a dead end lane about 1,000 feet N of State Road WW. The home is surrounded by scattered trees with the exception of the front yard, to the E. A house is located across the lane to the E and is occupied by an elderly lady who was asleep at the time of the observation. The following information was gathered during three visits at the home of the James Richard’s family. Portions of the report are taken directly from the taped interviews. THE OBSERVATION: The event began as Vanea went into the kitchen ( located at N end of the mobile home ) to place a baby bottle in the refrigerator, which is located by the N window and that window was open at the time. Vanea heard a rather loud ( it could be heard over the record player in the living room ) thrashing sound in the direction of scattered trees some 80 feet N of the window. At this point she could see nothing in the dark, wooded area. As she listened at the window the sound seemed to be moving around a large tree . As the sound persisted she became rather frightened and called to her father to come to the window. Mr. Richard’s and Jamie were sitting in the living room. Richards stated that as it was late, he was tired and was slow going to the window. Vanea ran to the screened porch at the front of the home and locked the outside screen door and the front door. By this time Richards had reached the window and was looking from the left side of the window toward the N-NE. Vanea took up a position on the right side of the window and was looking toward the trees . 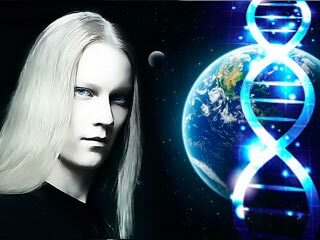 As he watched, Mr. Richards noted two beams of light which were located at a point between a fence and the trees. The light beams would have been about 50 feet from the window. The beams were tapered, wide at the top, about four feet wide, tapering to about two feet at the ground. They were some five feet apart at the top. The beams were bright and silver-white in color. He could not see any form above or behind the beams. 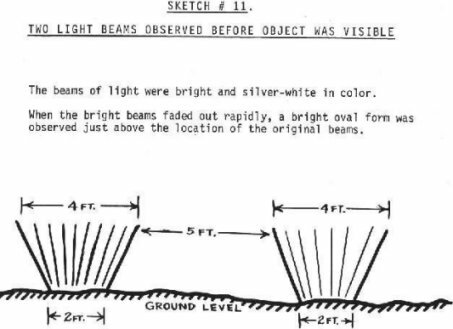 Suddenly, the beams disappeared, faded out rapidly, and a bright oval form was seen just above the original position of the beams. Richards and Vanea estimated the glowing form to be twelve to fifteen feet in diameter and very near the ground. The object was described as extremely bright ( Richards had to turn his eyes away briefly ) and silver-white in color. The edges were fuzzy and no surface details were visible. The glow did not fade or brighten during the observation. The trees around the form, to the left and right, were quite visible in the glow. The area was “lit up bright as day.” No sound could be heard other than the thrashing noise in the trees and grass. No other forms were seen. They noted that the trees were moving back and forth as though blown by a strong wind. ( wind speed was 5 knots-no storms in area ) Tree A showed a different motion… it was described by Vanea as a “tugging” motion. It seemed that something was pulling that one tree toward the ground. Shortly after the form was visible the thrashing noise ceased. The tugging motion on tree A was still evident. Mr. Richards and Vanea heard a loud cracking sound and the tugging motion stopped. It was his tree which was damaged…the following morning a large limb was found broken at a point 17 feet above the ground. The area was very quiet now: Richards moved to the various windows around the trailer. It was at this time that he noticed his dogs lying very still between the trailer and a shed nearby to the W. He told me the dogs were normally barking during the night at the various night animals in the area. It seemed very strange to him that his dogs were not barking at all this noise and bright lights. (the dogs are large security animals and not easily frightened) Richards then went to the bedroom at the S end of the trailer to get his guns. He brought the guns to the kitchen, removed several shells from a cabinet, loaded the guns and placed them on a deep freeze by the N window. He joined Vanea at the window once again and noted that the object was still there in the same position. The light from the glowing form illuminated trees as far away as 100 feet. At this close position(about 50 feet) it was silver-white or aluminum in color, no other colors were visible. 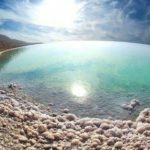 Mr. Richards said, It was real, real bright at the center, dull white at the edges, way beyond a normal light(such as an automobile headlight at the same distance) in brightness. Of the brightness vanea said, It was bright, but it didn’t hurt my eyes. After the form had remained in this same position for several minutes Richards decided to call for help. The object suddenly began to move away toward the N, passing below tree limbs through an open area some 20 feet wide. It moved parallel to the ground until it reached the edge of a field and then raised slightly and hovered some 200 feet away from the house. The color, it was something to behold, I’m telling you, it was, really. The object moved about 10 degrees to the W, stopped briefly and moved back to its original position over the field. The motion was smooth and slow. While the object was some distance away Richards dialed 113 for directory assistance. Mrs. A.P. took the call and later told me that Richards was very excited and seemed to be frightened as he described the event. He told her that he needed help and asked her to contact the police, the FBI, or anyone who could help him. After about one minute she told him she would contact an operator and have her call him back. As he talked with Mrs. P., the house lights dimmed twice. He hung up and returned to the window. While Richards and Vanea were watching the object, Mrs. P. contacted Mrs. L.M. and gave her the phone number. Mrs. M. immediately dialed the number, there was no busy signal, no ring-nothing-in her opinion, the Richards line was dead. She tried dialing the number five times, pausing after the third try to contact Mrs.P. to be sure she had the right number. She did. After the fifth try(she stated it would have taken perhaps three minutes to dial five times, waiting briefly after each dial and contacting Mr. P. she did not get through. During this time Richards was quite concerned as no one had called back, so he picked up the receiver to call out again. Over his end of the line he could hear no sound, no busy signal. He tried again and again, suddenly, as he recalls, Mrs. M. was on the line saying – Richards? and he answered-Jefferson City? Richards then told Mrs. M. what had been happening and that he was frightened for his children. Mrs. M. thought ( she could not be sure ) that she contacted the Richards home at about 0045. To her best recollection, he repeated his story over and over, pausing to ask Vane if it was still there and what it was doing. Both operators felt that Richards was sober and telling the truth. After what seemed to be several minutes(she couldn’t be sure of the time line) Mrs. M. contacted the Flight Service Station ( FAA ) at the Columbia Regional Airport. Mrs. H.S. was on duty at the time, Mrs. S. stated that Richards sounded sincere and sober. He seemed to be frightened as he described the event. After several minutes Mrs. S. told Richards that there had been another sighting on June 24th at Jefferson City. She then told him that she would contact the police for him and they hung up. The object was again moving toward the home and Richards became very frightened. Richards stated, It came back and we had it, I’ll tell you. we didn’t know what to do, we both got kinda scared. I said, what’s gonna happen? Something’s gonna happen here. This cold feeling came over me, I got speechless at this time. I just had this cold feeling when it came back that second time. I was just sure, like you almost feel that you were gonna get killed or something. Like death was at you, this was it. I didn’t know what to do, I just froze. I just knew this was it and no one would come, no policemen. I was scared to go out the door, I wouldn’t have gone outside, no way. The object moved through the trees to a point near in the trees near its original position 50 feet away from the window. It remained there for an undetermined period of time. It suddenly moved away, through the trees toward the field. It move with a smooth, slow motion, no sound. Richards noted that the trees did not move during the second close approach and there was no thrashing sound. As the object reached a point at the near edge of the field it raised slightly until it reached a point over the field some 200 feet away. 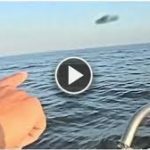 it hovered and no motion could be seen. It was still below the tree line to the N. The orange and blue bands could be seen again, it was silver-white at the center. The glow seemed to shrink, even though it was getting smaller the orange and blue bands were visible until it just disappeared by growing smaller and smaller. It does not appear likely it was growing smaller because it was moving away into the distance as no motion could be seen and it would have hit the trees to the N had it flown away. After the glow had faded out the object was not seen again. At about 0145 the police arrived, one young officer walked to the area with Richards and looked around briefly. He told Richards that there were some tracks but they looked like they were made by rabbits. Richards told him to forget the whole thing and he returned to the trailer, followed by the officer. He told the officer if he thought they were rabbit tracks he should forget the whole thing. It is very possible the officer didn’t see the deep imprints. They did not see the broken limb at that time. 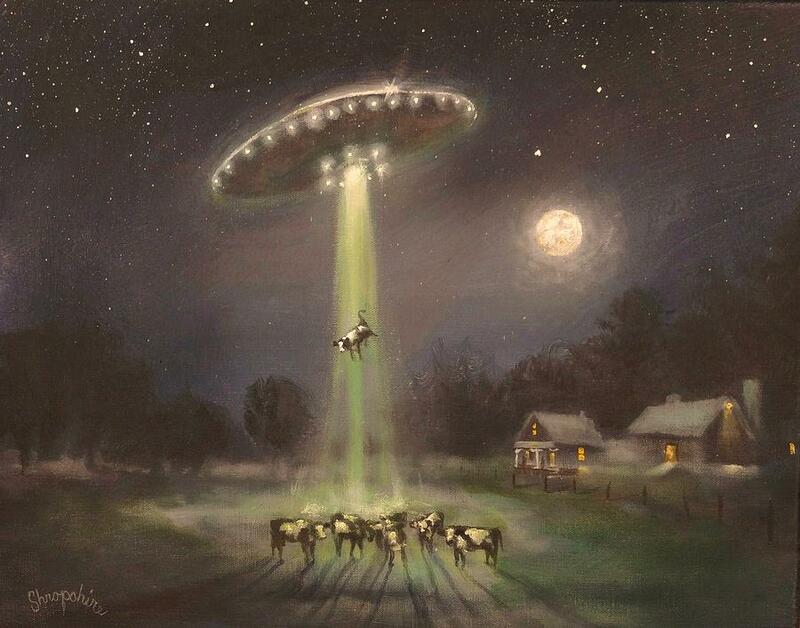 Richards called the Flight Service Station after the object had disappeared and Mrs. S. stated that he seemed relieved that he could talk with someone about the event. THE SITE: July 9, 1973… my wife and I interviewed the witnesses and investigated the area on our way to Chicago. Allen Hynek had invited us for a visit and to meet jazz drummer Buddy Rich ( I being a drummer and had mentioned to Allen that Buddy was my favorite on the planet ) Buddy had a sighting and had contacted Allen a week earlier and was playing in Chicago for a week. I spent most of the time obtaining measurements and taking photographs of the site. 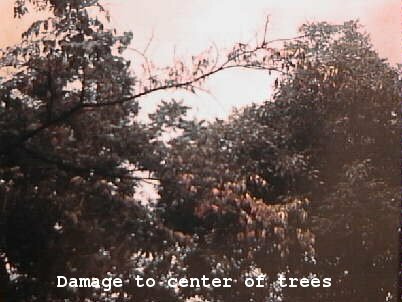 The imprints and damage to trees is located in an area of scattered trees N of the trailer. A fence is located 25 feet from the window and the first imprint was found some 50.5 feet beyond the fence. This seemed to be a series of imprints rather than just one. The imprints at this point number 4, they were 0.5 feet by 0.4 feet with a depth of 0.2 to 0.3 feet. This first set of imprints are 9.5 feet from a large broken tree limb. This limb is 0.4 feet in diameter and was still attached to the tree trunk. It appeared to have been twisted and pulled toward the ground. The limb was broken at a point 16.5 feet above the ground. 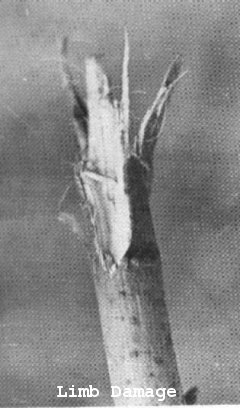 two smaller limbs, each 0.1 feet in diameter, located on the larger limb, were broken off. A small limb 17.0 feet above the ground and extending from the tree trunk at the point of the break, shows signs of being rubbed. All the breaks are fresh. Leaves in the area above the path taken by the object to and from the field, but especially over the point where it had hovered are dying. There are signs of heating three limbs on tree B had leaves that are brown, these are 25 to 35 feet above the ground. To the North of the first imprints ( along the objects reported path ) we found a complex series of imprints. It is difficult to determine a pattern as the object moved through this area four times, coming in an going out. Bob Gassaway, a reporter for the Columbia Tribune, visited the area the day after the sighting. He told me that he tried to make a heel mark by one of the imprints and although he weighs over 300 pounds, he could force his heel to a depth of only 1/2 inch. As the imprints are generally 0.5 by 0.4 feet with a depth of 0.3 feet, we must assume a weight on each imprint much above 300 pounds ( rabbits? ). There were no marks in the field and no radiation could be detected. Plaster casts were taken and the imprints outlined with flour for photographs. When we arrived in Chicago I processed the film at the Northwestern University darkroom. We described the event with the photographs and Buddy and Allen both planned to go back with us, Allen made it but Buddy couldn’t get around a schedule. Buddy and I discussed cases many times after this. On July 14th we returned with J. Allen. The leaves were all quite dead & the limbs were barren over the area. 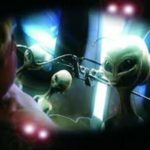 UFOs – Is Out of Sight Really Out of Mind? 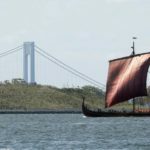 World’s Biggest Viking Ship Draken Harald Hårfagre Has Reached New York!